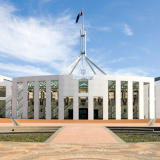 The royal commission may be over but Canberra’s scrutiny of Australia’s four major banks is still underway with another round of hearings planned for March. The House of Representatives Standing Committee on Economics will conduct public hearings in March as part of its ongoing investigation into the banks. The committee has already held four rounds of hearings as part of its review and has made a suite of recommendations for reform. Some of the recommendations have been adopted by the government, like the set up of AFCA and the BEAR regime as well as increased resources for the ACCC. The committee also recommended the establish of the open banking regime, which will come into force later this year, that will make it easier for bank start-ups to enter the sector. The committee is led by chairman Tim Wilson who said the hearings were important in the wake of the royal commission. “These hearings provide an important mechanism to hold the four major banks to account before the Parliament. “These hearings will, in particular, provide an opportunity to scrutinise the banks on the findings of the Royal Commission into Misconduct in the Banking, Superannuation and Financial Services Industry,” he said. Mr Wilson is currently under fire from the Labor party for his position as chairman of the committee due to his franking credit investigation. Mr Wilson has been accused by Labor MP Matt Thistlethwaite of using the hearings to lobby and recruit for the liberal party. “It’s unethical and an improper use of taxpayer funds. “They were handing out fliers and encouraging members of the audience at the Sunshine Coast based forum to join the national Liberal Party,” said Mr Thistlethwaite. Mr Thistlethwaite in the past has called the inquiry an abuse of the committee process. “Liberal MPs are using taxpayer dollars to run around the country encouraging people to do their part and undermine Labor policy,” he said. Tim Wilson has also been accused of unethical behaviour by Labor after a leaked audio tape allegedly had fund manager Geoff Wilson of Wilson Asset Management boasting about speaking to Mr Wilson MP. The leaked audio had Mr Wilson telling investors that it would be nice if one of the hearings was on the same day as his own upcoming franking credit roadshow where he dismissed labor policy. There was indeed a parliamentary hearing at the same time as the roadshow; however, the audio as revealed by the Sydney Morning Herald did not include any indication that this was due to any conversation between Geoff Wilson and Tim Wilson. Further there was alleged indiscretion because of Mr Wilson’s investments in a Wilson Asset fund; however, this is listed on Mr Wilson’s register of parliamentary interests. Mr Wilson said the work of the inquiry was for the people of Australia and was necessary in assessing the impact what a franking credit regime change could have. “There’s a material impact on their quality of life as a result of a change of law.